Mid Century 1934 Curt Teich Linen Postcard in Good, Posted (Halstead, Kansas 1944) Condition. This Genuine Curteich - Chicago C.T. 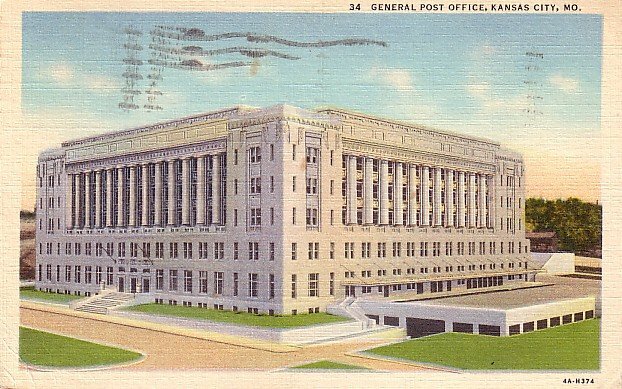 Art Colortone post card was published by Max Bernstein of Kansas City, Missouri. All items we sell come from a non-smoking home and are stored with loving care until they can be sent to their new owners. All postcards are mailed in a protective archival safe soft postcard sleeve.